23 Colours of Real Leather. Frame - Mirror Chrome or Satin lacquer. The Lisa 1 Counter Stool is another Stylish and Strong Bar Stool from Peressini, the Italian Designers and Manufacturers. With this huge choice of colours it is certain that you will be able to select a colour to match or contrast with your decor. To view the Leather and Eco Leather Sample Cards click the Highlighted Link. Also when you choose a colour from the "Upholstery Colour" drop down menu, you will see a cutting of that colour on the left hand side of the listing. The strong steel frame can have a Mirror Chrome or a Satin Chrome Finish. There is no difference in cost for these two finishes. If you want to order two stools please show 2 in the quantity box, not 1 (Pair). 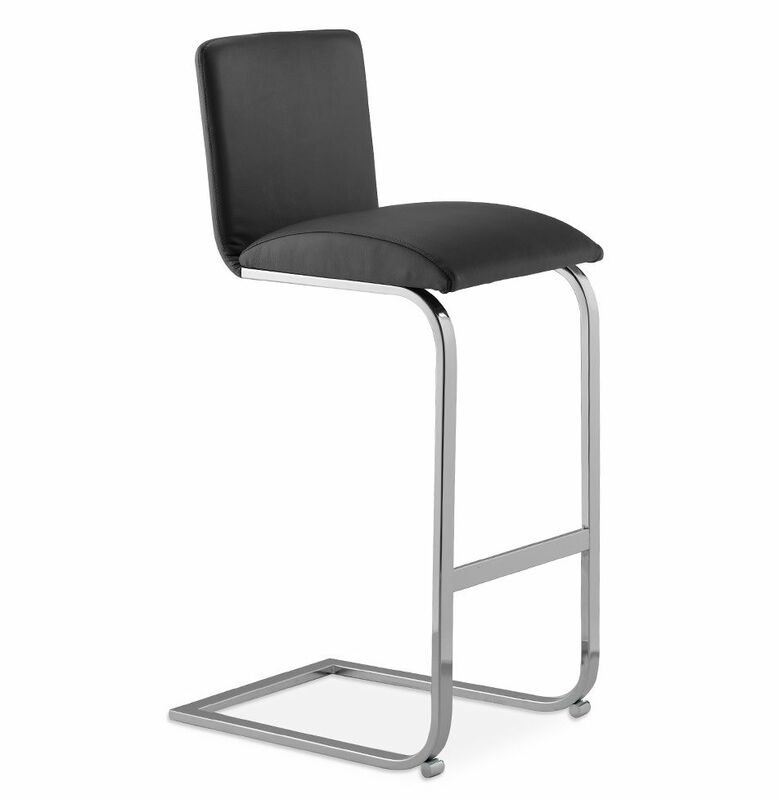 The Lisa 2 Adjustable Bar Stool matches in style with the Lisa 1 counter bar stool. They can both be upholstered in the same fabrics so that they will match. Due to the large number of upholstery covers, as well as the two frame finishes, it is not possible to hold these stools in stock. However the delivery is only about 5 to 7 working weeks from date of order. Surely it is worth waiting a short time when investing in a high quality item of furniture which will give good service for many years to come? The Lisa 1 Counter Stool has a Two Year Guarantee, because we are very confident that it will give long, trouble free service. Naturally fair wear & tear and abuse are not covered by the guarantee.